Last week, GHF Angela traveled to all 8 Rural Health Centers that are part of the Kabudula Community Hospital catchment area to begin the patient recruitment process for the surgical aspect of the Mediserv trip. For our previous trips, a lot of our patients came from the community that was directly surrounding Kabudula Hospital. We want to ensure that patients further away from the main hub that is Kabudula, that do not have access to these services are being recruited and told about the program, so they can be treated also. At each health center, she met with the Clinical Officers there who are responsible for running the clinics. She introduced the Mediserv trip and to ask if the Clinical Officers were already aware of patients that could use our services. Angela also met with the Health Surveillance Assistants (HSAs) that each health center has. HSAs are responsible for encouraging healthy behaviors throughout the communities and linking patients with the health centers and care. HSAs from these health centers will help us to find patients in their communities and make them aware of the screening day we will have at each health center. Together, the HSAs and the Clinical Officer at each health center will help us find patients in their communities who need surgery. We’ve found that patients often struggle the most with transportation (view our previous posts about traveling to the rural health centers from Kabudula describe what it is like for us.) We want to come to these patients to make sure that they aren’t missing out on a treatment that they could need, because they can’t get there or haven’t heard about it. In May, we will host screening days at each of these health centers, where we will sign them up for treatment days at Kabudula during the Mediserv trip. In June 2019, a medical team from AHA will be traveling to Malawi for another Mediserv trip! Every time we have MediServ trips, we look for ways to improve them and have a larger impact. This trip will be our most innovative and far-reaching yet! Similar to last trip, we will have a surgical, dental and training aspect to the program and this time we are adding a maternity/pediatric aspect as well! The overarching goals of our trips is to provide access to healthcare to hard-to-reach patients but also participate in an exchange of skills with Kabudula Community Hospital and other partners so all clinicians participating in the programs (visiting and Malawian) leave with improved capacity to treat their patients long after the trip. Our staff on the ground have been working very hard to make sure that everything our team will need is prepared. Over the past few months, we have been working hard with our partners at Kabudula Community and the Ministry of Health to meet their needs. They are also helping us with the trip logistics which include patient recruitment, equipment preparations and the program plan. We were recently approached by a general surgeon at Kamuzu Central Hospital about the possibility of our surgical team visiting them to help train intern surgeons on a specific type of surgery. By doing this, we will reduce their backlog and also have the opportunity to help train surgeons at the largest hospital in Lilongwe. Preparations for a trip like this take a lot of work and collaboration within Malawi and the US, we are excited to see everyone’s hard work pay off and see the impact we can have this year! In the past two weeks, Malawi has been hit with flash floods as a result from Tropical Cyclone Idai. There were two waves of flash floods due to the cyclone leaving many casualties in its’ wake. All AHA employees are safe and uninjured. 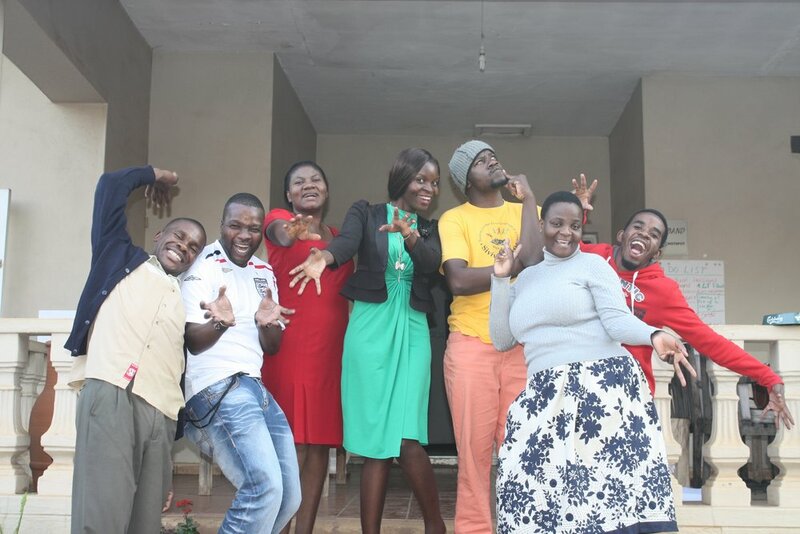 Some of our Malawian staff has suffered house and property damages that were able to be fixed. The cyclone has affected Mozambique and Zimbabwe also, with a death toll climbing close to 1,000. Our partner organization, World Altering Medicine, often helps Mozambican residents receive surgery at Nkhoma Private Hospital through the Watsi program. All in all, it was a great experience. It highlights the fact that we transportation from rural villages that seek treatment at Kabudula and even the rural health centers is extremely difficult. We had the resources to use kabazas, so it was ‘easy’ for us to get there. This can be almost impossible for many people who live in these areas. And this is just to get to Kabudula. If someone presents with a complicated case, needs to be seen by a medical doctor in Lilongwe and if they are able to afford it, the journey could take an entire day. On top of this, many diseases are worse during the rainy season (mosquitoes are more prevalent, which means more malaria, waterborne diseases are also more common) AND it is considered ‘hungry season’ because almost everyone is subsistence farmers and are waiting for the harvest to come. We hope our work and experiences can highlight the difficulties many Malawians face in seeking healthcare. Rural Health Centers (RHCs) are the most remote location and bottommost tier for healthcare in Malawi. They are often staffed by one Clinical Officer, a nurse or midwife and HSAs (Health Surveillance Assistants). RHCs do not admit patients. RHCs do not have the capacity for surgical intervention and focus mainly on primary and outpatient care and obstetric care (deliveries). The way the healthcare system works here is if there is a complicated case that presents at an RHC, they are referred to a Community Hospital (like Kabudula Community Hospital!). Community Hospitals then refer to District Hospitals who refer to Regional Hospitals. Ambulance used to take patients to Kabudula Community Hospital. Maternity ward in Malembo Rural Health Center which houses two beds. By focusing our interventions at Kabudula Community Hospital AND the catchment area, we are offloading the burden of cases that Kabudula must see and hoping to lessen the burden all the way up the healthcare chain. We are looking forward to visiting the other Rural Health Centers in the coming weeks! Kabudula Hospital staff hastily cleaning up the ceiling collapse! 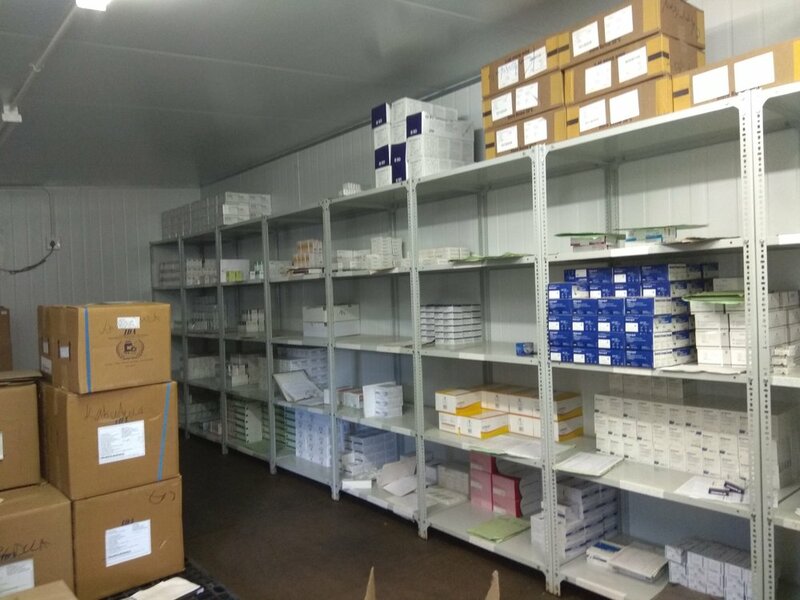 In partnership with World Altering Medicine, we help stock the hospital’s pharmacy with medication when the system experiences shortages, so that patients receive the care they need no matter what. According to a community member interview, the hospital is mostly adequate in the basic services it provides, and most of the departments are equipped and staffed, with just a few areas for improvement. X-ray equipment is available, but there is no radiographer on staff. We are currently in the planning process for building a new emergency department at Kabudula hospital, in partnership with World Altering Medicine. The current “trauma room” is too small to even fit a bed or stretcher inside! Staff and patients alike look forward to Access Health Africa’s annual “surgical camps” at Kabudula, where visiting surgeons come and perform minor surgeries on needy patients while training the local clinicians on these procedures. We hope to continue improving the partnership with Kabudula hospital through ongoing programming with the assistance of Global Health Fellows on the ground year-round. Please continue to support these promising initiatives! My co-fellow, Angela, has been living in Malawi for almost 3 years and I have now been here for 3 months. I have been so grateful to Angela that she has taken the time to show me around and share with me some of her favorite spots in town! When we have free time and some extra pocket change, we like to spend the afternoon shopping and having lunch. GHF Angela crossing the footbridge at the market. Today I wanted to have a new dress made out of the local fabric, chitenje. So we started off by going to the largest market in the country which is within walking distance of our office. The market is so big and has different sections for clothes, electronics, produce and other businesses on both sides of a river. Usually we can quickly run there after a day at work for produce but to shop for fabric we have to cross a foot bridge which spans the Lilongwe River. To cross the bridge it costs 50 Kwacha (~7 cents) and this money pays for continued maintenance of three foot bridges. Crossing the bridge, you’ll often see workers in the river washing clothes and shoes to sell second-hand. We had to weave through many stalls (Angela said “just keep turning left and right until you find a clearing”) to find a small alleyway where chitenje is sold. These can be used as wrap skirts, which we often wear when we work in Kabudula or Nkhoma or used to make dresses. Two meters of chitenje (enough for a wrap skirt or short dress) costs about 3000-4000 Kwacha ($4-5) depending on the quality. A chitenje shop in the market. Shopping in the produce market (with super cool AHA tote bag in hand). One of mine and Angela’s favorite places for a nice lunch is the Lilongwe Wildlife Sanctuary which also has an amazing cafe. At the conservatory you can take a tour and see the animals (monkeys, crocodiles, owls, snakes and others depending on what they may be rehabilitating) and also walk along their nature trails. The cafe often hosts fundraising events and is a nice place to enjoy a working afternoon over coffee or lunch. I am a member of a book club and we have our meetings here too! A view of the market. These are some of the typical activities Angela and I both enjoy to do together and alone in which we able to get a taste of Malawian culture and Lilongwe culture in the meantime. Lilongwe is a robust city with so much to do, this is only a taste. *This picture of the market is to show these little fish called bonya which do not smell nice and there are always bags of them on minibuses to places far from the lake, especially so on our rides to Kabudula! The smell bothers me so much that when the minibus drivers see me coming, they always reserve the front seat for me so I can have the window and fresh air. A Week in the Life of a Global Health Fellow! 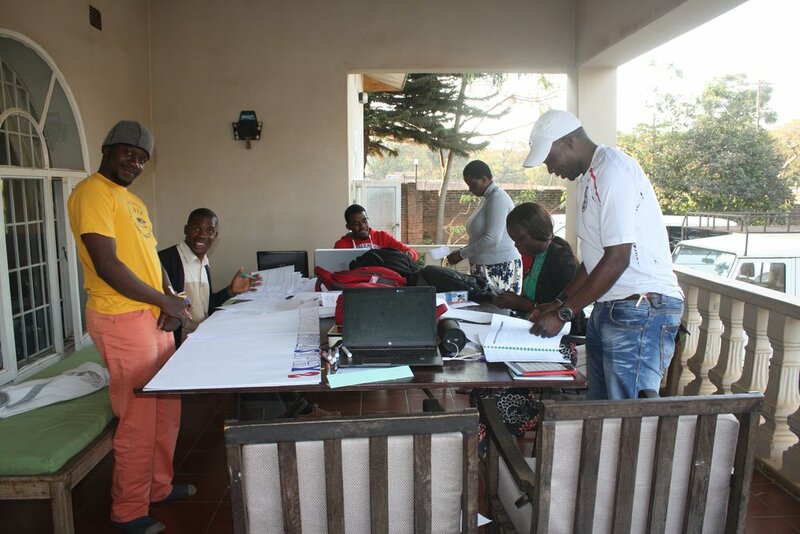 Monday and Tuesday (Lilongwe): The GHFs usually work in the office on Mondays and Tuesdays, organizing their tasks for the week and attending meetings. Currently they are involved with many on-going projects and are working towards developing new ones, building partnerships and expanding the scope and reach of Access Health Africa and World Altering Medicine. Nkhoma Hospital where we help facilitate access to surgery for patients who would not otherwise have it. A Kabudula Community Hospital Clinician treating a patient in the current trauma room. After all tasks are completed at the hospital, the GHFs head to the Kabudula Secondary School to meet with their community partner there, a teacher at the school. With her, we are able to provide 50 scholarships to Secondary School students every year through our KEEP program. Students are chosen based on economic need and commitment to their education. They also attend the Girls Empowerment group organized at the school every Thursday that includes over 100 girls in secondary school and covers topics such as career guidance, relationships, reproductive health and hygiene and peer counseling. During our past surgical trip, I was responsible for helping to organize the surgical patients, interview them and discharge them. During this process, I got to know some of them well, and was fortunate enough to see them before anesthesia and after surgery, when they were anxious, excited and then thankful for a successful operation. Knowing that our patients were coming from a very large catchment area, including some villages that are hard to reach, I was not sure if I would ever see some of them again. Riding on the back of a kabaza down a road some of our surgical patients walked to be treated by our surgical team. A few weeks after the surgical trip, I was with one of our community partners, a teacher at the Kabudula Secondary School, conducting home visits for students we will sponsor this coming school year through our partnership with World Altering Medicine. I met the teacher at the secondary school and we proceeded via kabaza (bicycle with a passenger seat on the back, my first time riding one! ), to a remote village to meet a student and his family. The ride was about 20 minutes through the countryside on a dusty road. Along the way, I was casually waving and greeting everyone we passed, and I saw one of the mothers of a young female patient we operated on during surgical week! She started laughing, waving and yelling to get my kabaza to stop. I recognized her instantly and hopped off to greet her. She gave me the biggest hug, high fives and a handshake and through laughter and mixture of English and my own broken Chichewa, I asked how her daughter was doing. Coletta (right) our patient, and her mother (left). Her daughter is 14 years old and had a ganglion cyst on her wrist. She said she has healed fine and is pain free! Before her surgery, she was unable to complete her housework because the pain was too bad and had the cyst for 6 years. Her and her mother walked to Kabudula Community Hospital along this dust road 3 different times to see our surgical team. I walked it back from the home visit, and it was not an easy journey, it took over an hour with no respite from sun or dusty wind. I couldn’t believe that I saw one of our patients’ parents from surgical week, and the fact that she recognized me, embraced me the way she did and again thanked me for our services, was such a highlight of my time here. She was beaming. Today wraps up our week in Malawi which has by all accounts been a huge success. Dr. Henson and myself were able to exceed our surgical case goal with over 60 procedures performed in just 5 days. This volume could not have been accomplished without the excellent planning of the AHA staff, exceptional OR personal and assistance of the Kabudula staff. Power outages and limited supplies were daily challenges that required creative problem solving. Head lights and generators were a most to keep the day moving. Operating in Malawi has been a chance to step outside of my comfort zone and learn how to work with the resources at hand. The opportunity to provide care for many people has been the highlight of our experience. Regardless of the country, surgery is a scary event for patients. The language barrier made comforting and reassuring patients a challenge, especially in our pediatric patients. Despite their anxiety, the Malawian patients showed a strength not commonly seen in the United States and trusted that we would fix their ailment. The hardest part of the week was turning patients away simply because there was not enough time in the day. So, as our week ends it has been an honor to be a part of the Access Health Africa team. Our team quickly formed a small family. Our days have been filled with work in the village followed by eating dinner while drinking local beer and chatting in the evening. The group will be missed but not forgotten and we leave planning to return in the near future. Thank you to Dr. Sean Martin, one of our volunteer surgeons for writing this blog! CPR/BLS Training in Ukwe, Malawi! (Written Tuesday, August 21, 2018) What an amazing training experience today, in the village of Ukwe, Malawi! The participants from the women’s/children clinic were both receptive and excited to learn the components of C.P.R. The initial apprehension quickly turned into enthusiasm. Practicing the steps of B.L.S. and working together demonstrating how to save a life, gave participant confidence that each of them is capable of making a positive impact in an emergency situation. The instructors and interpreter all agree that the knowledge gained will be an asset to this rural community. Thank you to Dr. Francine, our volunteer CPR/BLS Trainer for writing this blog! As the plane landed in Lilongwe, Malawi I felt every emotion, especially pure excitement. Walking down the steps of the plane, looking across to the airport buildings, I spotted the Access Health Africa sign hanging from the banister and saw the AHA Fellows waving. Finding 6 large duffel bags of medical supplies and 3 small suitcases amongst 300 people’s luggage was actually much easier than I thought. All bags were present and accounted for so off to the customs officer to have the bags checked. We were extremely blessed they didn’t confiscate any of our bags. We had two very friendly ladies, Carolyn and Angela, waiting on us from Access Health Africa to welcome us and take us to the house. After loading all the bags on top of a 15 passenger van we headed to the house. It was a 30 min ride on the opposite side of the road and CRAZY driving but we made it safely. We spent the next hour or so unloading and organizing all the things we needed to make our week doing surgery a success. We took a trip to the grocery store to purchase snacks. I was amazed that the grocery store was not much different from the ones in the US. Great pizza was served from a local Malawi pizza restaurant. We were advised to stay awake until 9:00 so we would be able to sleep all night due to the time difference. So after checking in back home I took one of the hottest showers I have ever had and go into my bed surrounded by the mosquito net and fell asleep. The alarm goes off at 7:30 and it’s time to start day 2. After everyone fixed themselves breakfast and got dressed we left for Kabudula Hospital. It was a 45-minute drive, and a CRAZY one. Some of the road is paved, some are not. On the drive we did get to see different villages where the homes were built of self-made bricks and mostly straw roofs. After arriving to Kabudula hospital we started the pre-op process. We split up into vitals, anesthesia approval, examination by the doctor, and surveys. After having their vitals and anesthesia work up, Dr. Henson and Dr. Martin did an exam and decided if the patient was eligible for surgery. We saw 18 patients and scheduled 15 for surgery, a very successful day. In the morning, we packed the van with enough supplies to accomplish 2 days of surgery and headed to Kabudula Hospital to pre-op more patients. We saw 19 patients but scheduled 15 for surgery. Some of us went to the maternity ward to see if there were any patients in labor. Its not like laboring at home. These ladies are lying on a cement floor in active labor and not making a sound. After they get to a certain point in labor they are moved to the delivery room where they lay on a delivery bed but it is far from the luxury beds in the US. There is one nurse to take care of the laboring mother and the baby. She is responsible for all laboring patients. Today there were 3 in labor and 2 in active labor. We also went to the pediatric ward. There were 12 patients. It is the family’s responsibility to take care of their child while at the hospital. After setting up the OR for our day tomorrow we headed back to the house. Tomorrow we have planned for 8+ surgeries, wish us luck! Thank you to our wonderful surgical tech, Tyra for writing this blog! Meet Chipingo, our Country Manager! Solomon-Chipingo Phiri has been Access Health Africa's Country Manager for several years, so we're long overdue on introducing Chipingo and all his amazing work to our blog. Chipingo, who was born and raised in Malawi, came to AHA with a background in education and Mass communications and experience in resource mobilization, HIV/AIDS and gender programming, advocacy, networking, behavior change communication, and workshop facilitation. "AHA serves not only people in towns or suburbs, but it reaches people in hard to reach areas...deprived of the basic health services because they do not have facilities or personnel. AHA reaches out to these vulnerable people. Hence, through AHA's work people of Malawi are seeing the light in the access to quality and equitable health services, education, and resources. It is from this background that I find working with AHA so fulfilling. AHA hears the voice of the people, it follows tenets of "empowering development" as compared to passive development whereby people are passive recipients. AHA believes in people having a voice in what they want, how they feel they need to do it and the support that they need." One of Chipingo's greatest accomplishments is managing and growing the impact of Camp Hope, which we have operated since 2011 as part of our partnership with Serious Fun and other private partners. Camp Hope is a week long camp for adolescents that provides HIV knowledge, peer support, decisionmaking, nutrition, hygiene, and other important topics for PLWHA and ALHIV (Adolescents living with HIV). Chipingo is incredibly passionate about Camp Hope, which he describes as intentional programming "cross cut with fun" that "focuses mainly on the building blocks of love, safety, and respect..we provide a forum for ALHIV to work through their challenges and create peer networks for support. Camp helps to decrease a sense of isolation and helplessness and allows our participants to build their self-confidence they need to manage life time treatment as they grow in society." Chipingo helped Camp Hope expand from the first year, where there were 40 campers in one session to 320 across four sessions this past year. Chipingo specializes in training Camp Hope's extensive staff roster in child focused and therapeutic recreation using a loop model of challenges, successes, reflections, and self-discoveries. Chipingo is especially proud of the 64 Leaders in Training, former camp graduates and peer educators, who have been trained and have facililtated camp since 2014. AHA is incredibly lucky to have such a dynamic, up-for-anything, passionate Country Manager. Please join us in thanking Chipingo for his contributions so far and follow along for more of his great work!